Caring for a loved one during an end-of-life journey can be filled with challenges and joys. There may be times when a caregiver struggles to find meaningful and engaging activities for their loved one to participate in or help with. As humans, we often search for moments in life when we feel valuable, independent and a sense of dignity. When a person experiences a terminal illness, they often have feelings of losing their independence and diminished self-worth because they are no longer able to participate in or perform tasks that they once could. These may include gardening, going out with family and friends, making the bed or simply helping with laundry. 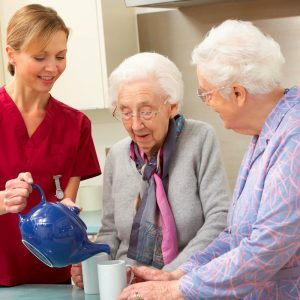 Caregivers can help fill the void and enrich the person’s life by proactively engaging in a variety of activities and tasks with the terminally ill person. 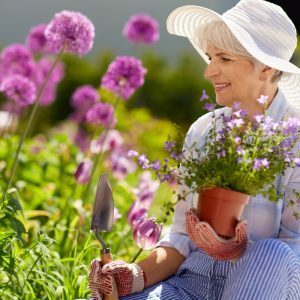 In the home: Whether your loved one has the ability to move about or not, activities, such as caring for houseplants, folding and matching socks, baking or cooking, or helping open and sort through the daily mail, may be appropriate. Music: If you or your loved one finds enjoyment in music, listen to a favorite CD, sing songs, attend a concert in the park, or watch a favorite musician on TV and put your dancing shoes on. Hobbies/crafts: Most people find satisfaction in a hobby of some sort. Think about hobbies that the person has enjoyed in the past when looking for ideas of what to do together. Make a holiday or birthday card or create a collage or scrapbook. If your loved one enjoyed spending time in their workshop or garage, let them sort nuts and bolts or organize a tool box. This will also serve as a way to bring back memories and you may be lucky to hear past stories. Outdoor activities: Do you find that being outside in the fresh air and sunshine brings a sense of peace? Take your loved one out for a nature walk, sit and talk on your patio, or go for a relaxing drive to admire the trees or landscape. Outings: Spending time outside the home is a great way to feel engaged and to break up a long day. Simple trips to your local library, church, bowling alley, senior center, youth baseball games or bingo are always a good idea. If your loved one is able, visits with family and friends are important and help bring a sense of connection and independence to their life. When was the last time that you or your loved one focused on your mind, body and soul? Here are a few additional activities that can be implemented into your daily routine to bring relaxation and awareness to yourself and your life. Tap into your childhood days and go cloud-watching. Lie on your back or tilt your head up, breath deeply, relax and watch the sky. Take the time to be selfish. Do one thing each day just because it makes you happy. Do a mini-meditation. Focus for one minute on your thoughts, feelings and physical sensations; one minute of focused attention on your breathing; and one minute of attention of the body as a whole. Take time to really stretch out the kinks. Even on cold or cloudy days, take 15 minutes and step outside into the sunshine. Have a good laugh. The type where your stomach aches and your eyes water. Take a quick nap. Ten to twenty minutes can reduce your sleep debt. If you have a daily commute, take a moment for a “beauty scavenger hunt.” Find five unexpected beautiful things during your drive. Write out your thoughts. Spend 15 minutes writing about the things in your life that bother you. Then, simply let them go. Ask for help if you need it—whether it’s something big or something small—reach out. Keep in mind that these suggested activities may not be easy or suitable for everyone, as each person’s abilities differ. Even so, they can be used as reminders or to help you brainstorm your own ideas. Connecting with your loved one can help reinforce a sense of independence, self-esteem and support that is important. Taking the time to interact and show your loved one you care is worthwhile and can bring joy to both of your daily lives! 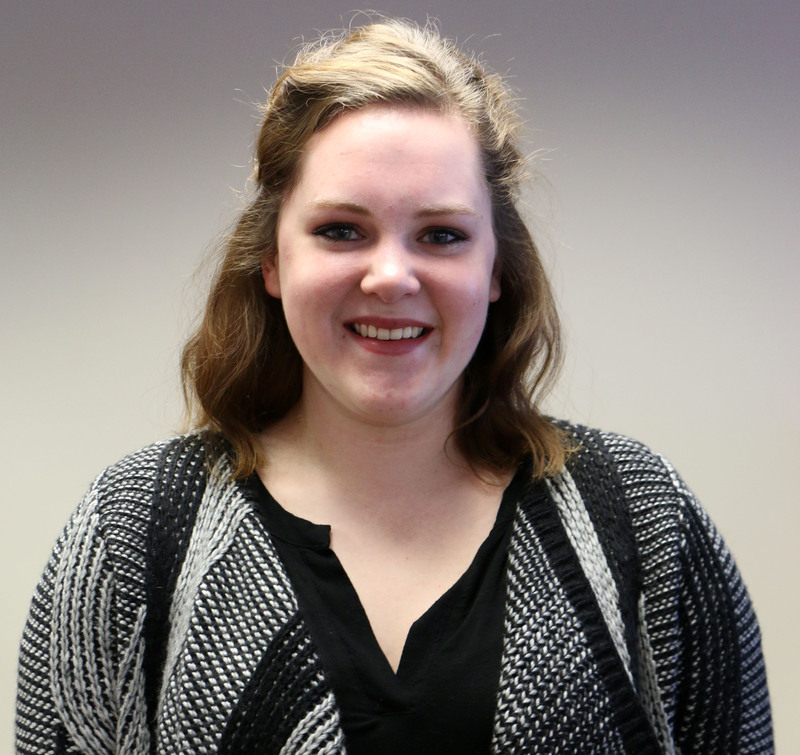 Megan Suby is a volunteer coordinator with Hospice of the Red River Valley.